Ballaghmor Class’s Badminton preparations are going to plan so far – the 2017 winner bagged an open intermediate win at Lincolnshire with a dressage score completion. Tregilder also kept a clean sheet throughout for 9th place at the level. Meanwhile Arklow Puissance made his first run at intermediate level a winning one, again adding nothing to his first phase score. 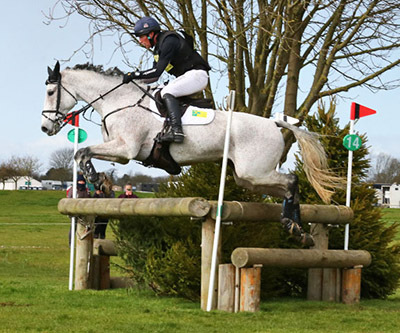 At novice level Weston Goodfella, the current British Eventing 6-year-old champion, posted his third win on the trot, while Crumlinpark Genie repeated his Oasby performance for third place and Sligo Candyman collected a fifth place rosette. Oliver also had five youngsters out contesting BE100 sections. All completed, Cooley Rosalent and Kilclogher Dawson both placing fourth.